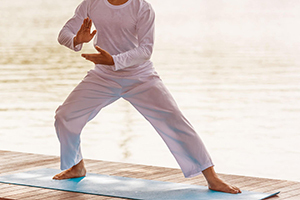 Throughout his lifetime, Teja Bell has been a committed practitioner of the Dharma and the Tao, integrating qigong, martial arts and healing energy practices. He is a lifelong practitioner and teacher of Aikido (5th degree black belt) and of Chinese Internal Arts with a special emphasis on the healing and restorative aspects of qigong and meditation. Roshi Teja Fudo Myoo Bell is a recognized Zen Master from the Rinzai Shu or Rinzai Zen lineage. As a qigong and dharma teacher, he teaches and leads retreats and trainings internationally and is a regular visiting teacher on residential retreats at Spirit Rock Meditation Center, where he has taught over 90 retreats since 1999 with many teachers in the Theravadin Insight Meditation tradition, including Jack Kornfield and Robert Hall. He leads annual in-depth study and teacher-training programs and teaches ongoing classes, daylongs, and retreats. In his youth, Teja Bell began bridging the traditions of Buddhism and the qigong and yogic practices of Taoism in 1965 by studying martial arts (Judo and Kung Fu) with Tatsumo Makami. Later, his studies included yoga, meditation, and Theosophy. In 1971 Teja began his Aikido training parallel with earning black belt ranking in Tae Kwon Do Karate with In Mok Kim – 9th degree. In 1975 he expanded his training to include Yang style Taijiquan and Qigong taught by Li Leita, a lineage master in the “Yang” style. He also studied many Neigong systems and the esoteric martial art and meditation system known as “Liu He Ba Fa”. 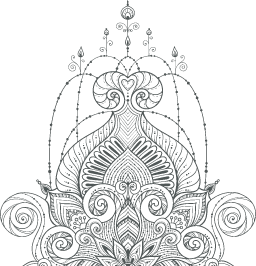 Concurrent with his Taoist qigong and martial arts training, Teja has trained across the three major Buddhist traditions: Theravadin, Mahayana Zen, and Tibetan Vajrayana. As early as 1969, he began reading Zen texts and visiting spiritual teachers and centers. Upon meeting Rinzai Zen Lineage Master Roshi Junpo Denis Kelly of the Hollow Bones Zen Order and MondoZen, he found a home in the Zen Community and after four years of intense training with Roshi Junpo ordained as a Zen priest. Many years later Roshi Doshin Michael Nelson conferred the mantle of transmission of Zen Master to Teja as the 85th patriarch of Zen in Rinzai lineage. 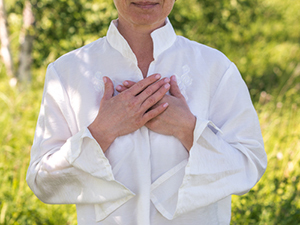 Teja continues to study, practice and teach qigong, healing arts and martial arts with a few select teachers. He teaches classes, daylongs, and retreats in qigong, dharma and meditation, Zen, Aikido and non-dual integrative process and embodied leadership. He is committed to the lifelong pursuit and mastery of these evolving teachings and disciplines, and to the ethical and empowering communication and transmission of their essential qualities, for universal benefit.